Skin Cancer… what precautions can we take? Summer is here and so is the sun. Here to stay, way up high in the sky, all day, every day, for the next six months (at least in Cyprus :-). This translates into a LOT of harmful rays, and we need to take appropriate measures to stay healthy and not burn our skin. 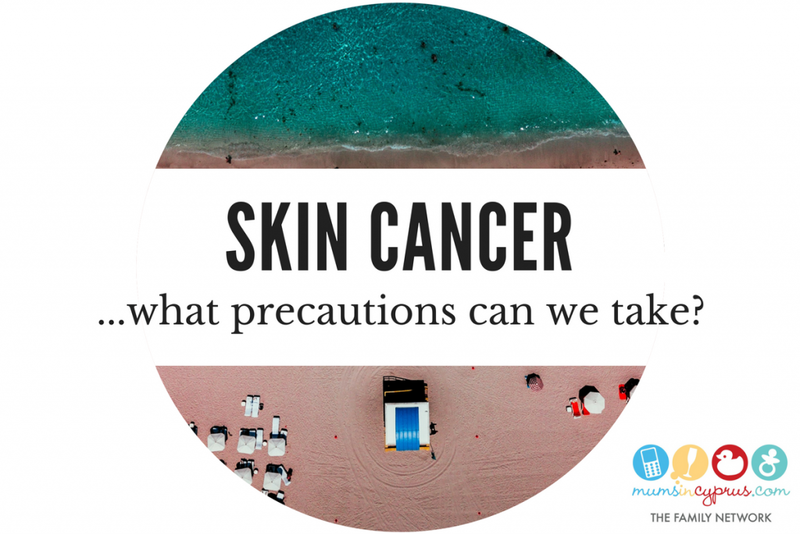 In our quest to always bring you relevant, up to date advice and information, we scoured the web for the latest expert recommendations and found out that, sadly, Europe has a skin cancer problem. Children are at the greatest risk of long-term health issues related to unsafe sun exposure. Outside play is important, but you should never let a child get sunburnt. Whether you’re in a high-risk group or not, there are simple things you can do now to protect you and your family from skin cancer. By knowing the signs, and checking yourself regularly, you can stop any suspicious skin lesions before they become something more serious. If you spot a suspicious lesion, it is vital that you have it checked by a doctor or preferably a dermatologist as soon as possible. Where treatment is delayed, the condition worsens, and in some instances, can lead to disfigurement, complications and even death. Don’t let delay reduce your chances of a positive outcome. Article available in its original form on the Euromelanoma.org webpage. Dust Storms… what precautions can we take?